How do you measure... what lies beyond? At Harvard Observatory at the turn of the 20th century, Henrietta Leavitt joins a group of women tasked with charting the heavens without being allowed to touch a telescope. Despite restrictions placed on her because of her gender, Henri devotes her life to the study of celestial bodies just out of reach. She while balances her certainty that she will find answers to complex questions with the desires of her heart and the needs of her family. 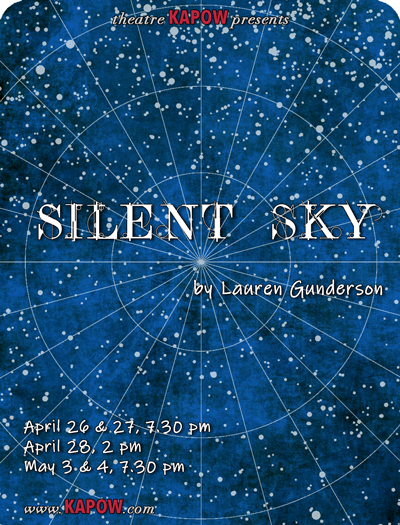 Inspired by the real-life woman whose work allowed astronomers to measure the distance of faraway galaxies, Lauren Gunderson's witty and evocative Silent Sky challenges how we explore our universe by revealing the music of the stars. tKAPOW presents the New Hampshire premiere. 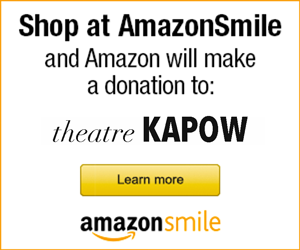 Support for this production is provided by the NH State Council for the Arts and the National Endowment for the Arts.